Opening in Hong Kong this very minute (vernissage tonight) is Fine Art Asia, a fair that seems to get more interesting every year. 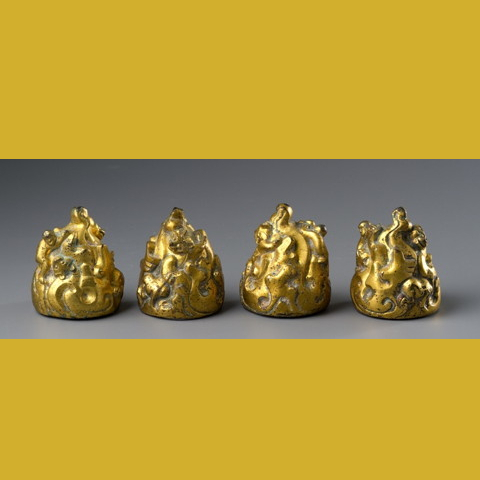 Stands to circle on your fair map include: Galerie Christian Deydier (we are lusting after his enigmatic mat weights, above, in gilded bronze, created two millenia ago). Jacqueline Simcox for splendid Chinese and Central Asian textiles (like this 17th century rank badge, for example). Symbolic & Chase (with precious treasures like this Rene Boivin ring proving fine jewelry is a fine art form). And Wattis, for fabulous old maps and prints of all of Asia.